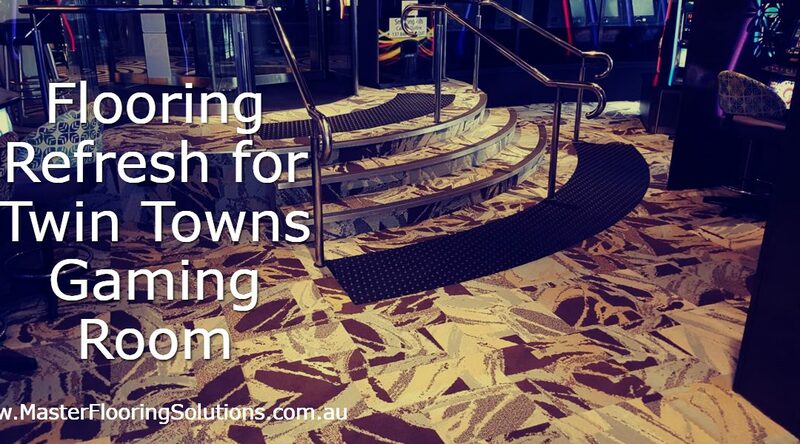 We recently completed a flooring refresh with new commercial carpet tiles for our valued client, Twin Towns Services Club, in their gaming/smoking area. The Club called us in to assess the flooring in their alfresco gaming/smoking area. 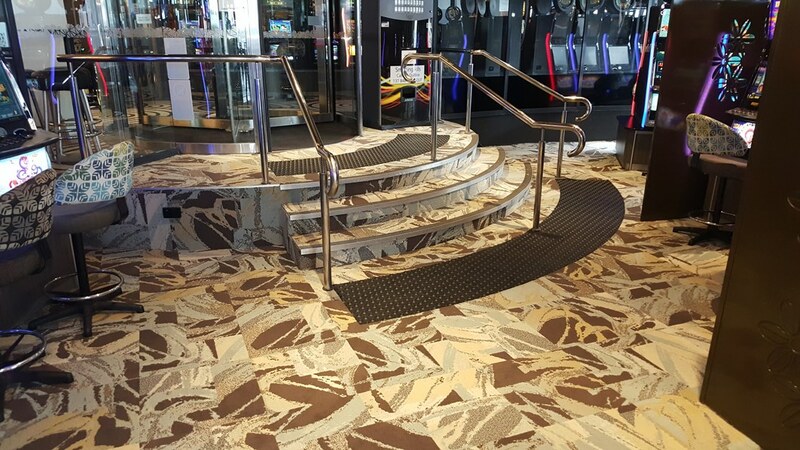 They wanted to freshen up the area which had endured damage to the existing broadloom carpet due to cigarette burns, alcohol spillage and excessive traffic flow. To remedy the situation, we suggested they replace the existing broadloom carpet with Interface Carpet Tiles. This product allows a section of tiles to be uplifted for the replacement of any damaged tile, rather than replace the flooring in the entire room. This will be a significant cost saving for the client. We used a commercial carpet tile with pattern and colour. They are designed to camouflage any potential cigarette or alcohol damage. This modern look will carry the decor forward for the next 5-7 years. These carpet tiles are popular in lift wells and common areas. They are highly durable under constant traffic, sand and dirt. Outcome: The ability to remove one or more tiles to replace a section and refresh the flooring is ideal for these high traffic areas. As most carpet tile styles have many colours, there is also an ability to offer a new highlight colour in the future. Commercial carpet tiles offer excellent slip resistance and acoustic properties, while reducing sound and glare. This makes them the ideal choice for schools, universities, aged care and independent living facilities. They also work well in offices, commercial premises, restaurants, cafes, healthcare premises and gymnasiums. We offer a wide range of colours and styles. 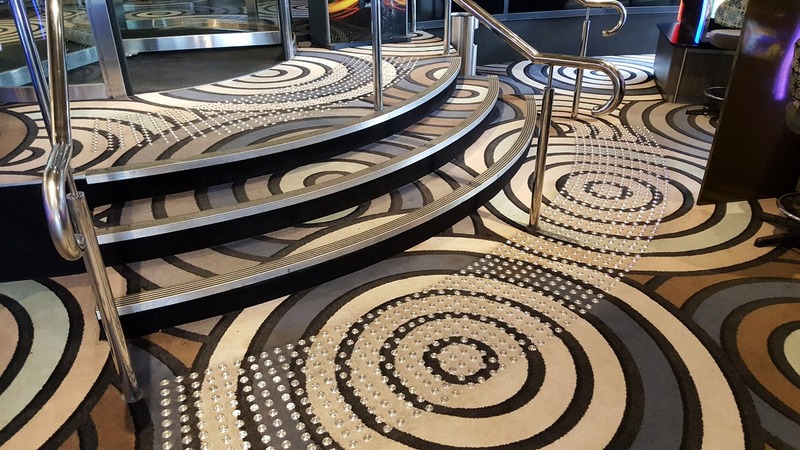 Your corporate colours or business logo can also be incorporated into the flooring through digital printing. Does your commercial flooring need a refresh? Why not talk to our professional flooring solutions team about how commercial carpet tiles can enhance your business premises? Contact us for a quote via our Contact Page.